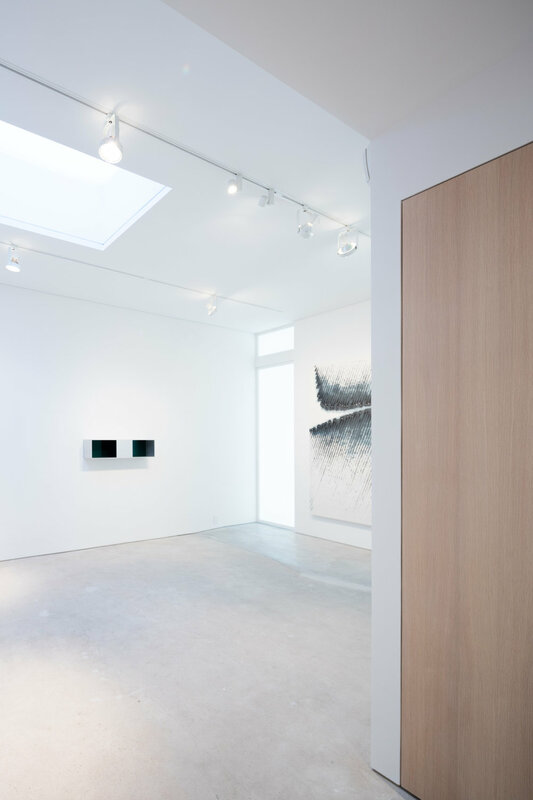 Charlap Hyman & Herrero realized Tina Kim's vision for a peaceful suite of viewing and living spaces atop her namesake gallery. Comprised of a kitchen, bathroom, viewing room, and guest room, these spaces can be easily transformed into a functioning apartment from a private viewing area. 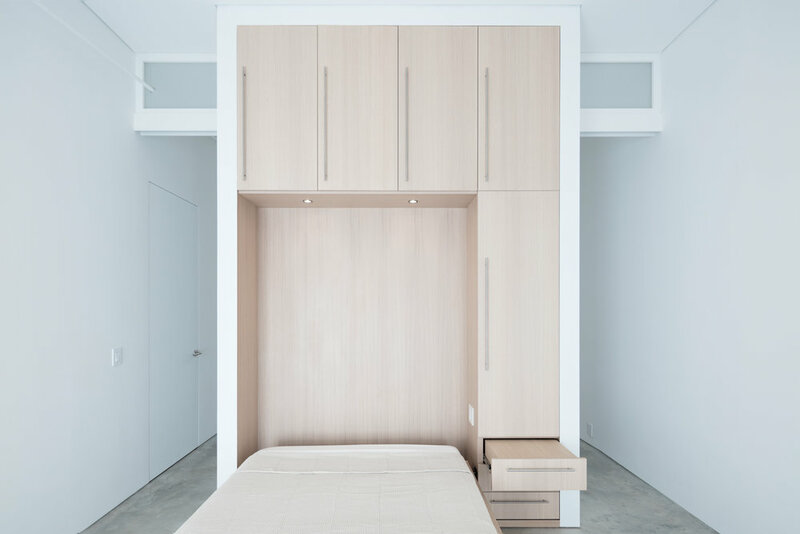 A fold-down bed, concealed kitchen, and hidden bathroom are barely detectable when the spaces are used for gallery functions.